A mental health counselor is a professional who utilizes a variety of psychotherapy methods and techniques to help people experiencing psychological distress. The prevalence of mental health problems highlights the demand and need for qualified professionals to diagnose, treat, and prevent mental health issues. In A Guidebook to Human Service Professions, Gitner and Mears suggest that that by 2020 depression will be the second most costly health problem, surpassed only by heart disease. By the age of 55, around half of all adults in the United States will have experienced symptoms of at least one psychiatric problem. If you are curious about what a mental health counselor can do for you, or thinking about entering this profession yourself, there are a few important things you should know. Learn more about what these professionals do, when you might want to consider seeing one, and what you need to do if you are interested in becoming a mental health counselor. 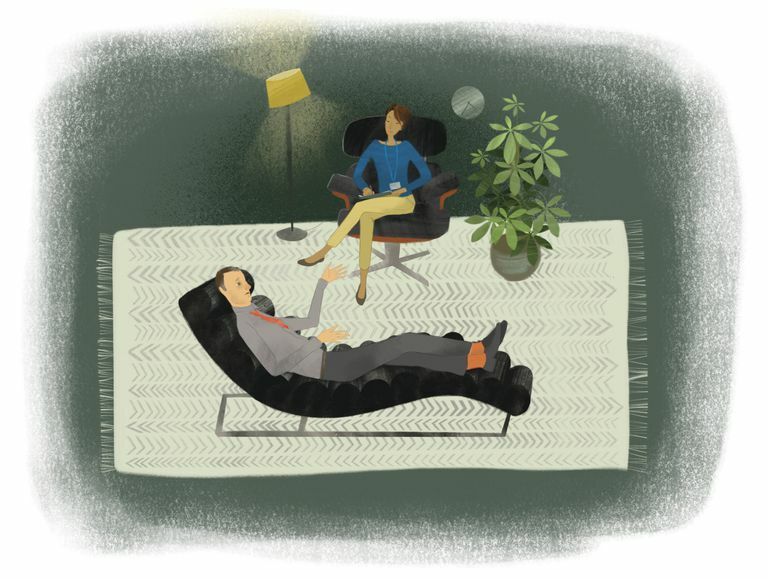 Where Can You Find Mental Health Counselors? All people face different psychological challenges at various points in life, and sometimes people need the help of a professional to cope with these difficulties. It can sometimes be confusing to determine what type of help is needed, particularly because there are so many different types of professionals who specialize in treating mental health issues. Mental health counselors represent just one profession that specifically works with people dealing with cognitive, behavioral, and emotional issues. Counselors work with individuals, families, groups, and communities to deal with mental health issues and improve mental well-being. People experiencing symptoms of psychological illnesses such as depression, phobias, and anxiety may choose to see a mental health counselor for counseling and psychotherapy services. Counselors may also help people experiencing social difficulties, emotional problems, addictions and substance abuse, grief, self-esteem issues, and marital difficulties. Some mental health counselors choose to work with specific populations such as children, the elderly, or college students. Counseling tends to view individual needs within a developmental context. Rather than focusing on dysfunction, counselors often see problems as arising from normal reactions to developmental changes or as difficulty dealing with specific life stages. As a result, counselors may focus on personal development by helping you learn the skills and coping abilities you need to deal with such life changes and stages effectively. While counselors are often called upon to treat specific problems, they also tend to take an approach that focuses on overall wellness. Dealing with the immediate problem is important, but counselors also strive to help you function not just minimally, but optimally. Enhancing overall well-being by solving problems, improving resilience, encouraging healthy behaviors, and improving relationships are key components of counselors' duties. What Training Do Mental Health Counselors Have? What type of training do mental health counselors need? Many begin by earning a bachelor's degree in a human services field such as psychology, sociology, or social work. While having a background in social science is ideal, people with undergraduate degrees in other fields can also enter the field of counseling. This often requires completing a number of basic prerequisite courses before gaining admission to an accredited master's degree program. The minimum requirements for a licensed mental health counselor are a master's degree in counseling and at least two to three years of supervised practice under a licensed professional. States typically require a minimum of 2,000 to 4,000 hours of supervised practice before gaining licensure; however, it is important to check with your state's licensing board to learn more about specific requirements. Always be sure to check the guidelines in the state where you plan to study and practice. Once this has been done, aspiring mental health counselors must still pass a state licensing exam. In many states, counselors must first pass a test administered by the National Board of Certified Counselors (NBCC) in order to obtain a license. Even after finishing these requirements, counselors must continue to stay abreast of current practices by completing a number of continuing education courses over the course of their professional lives. While this means that you will need to continue taking courses throughout your career, it also allows you to stay current and explore new information and techniques to better hone your skills as a counselor. Licensing requirements for mental health counselors vary from state to state, and specific titles for these professional designations may vary as well. Mental health counselors may be known as a Licensed Mental Health Counselor (LMHC), Licensed Professional Clinical Counselor (LPCC), or Licensed Professional Counselor (LPC). In most states, the title of "Mental Health Counselor" is a protected title, which means that only people who have met certain state requirements may legally call themselves by that title. In addition to these basic education and licensure requirements, some counselors also choose to become certified. While this certification is purely voluntary, it is an additional qualification that can make professional counselors more appealing to both employers and potential clients. Aside from training and education, what type of skills should you have in order to succeed in this profession? Becoming an effective mental health counselor requires a solid knowledge base of psychology, therapy, and counseling. In addition to understanding this subject matter and techniques, counselors need to have good listening skills, the ability to communicate effectively, good critical thinking and problem-solving skills, and outstanding people skills. Emotional intelligence, compassion, empathy, and nonverbal communication abilities are also critical. If you are interested in becoming a mental health counselor, it is important to consider both the potential benefits of the career as well as some of the possible drawbacks. One of the greatest rewards of being a mental health counselor is being able to have a direct impact on the lives and well-being of clients. Counseling allows professionals to both prevent and treat psychological distress, which can help clients lead healthier and happier lives. Some potential downsides to consider include the fact that the job can sometimes be stressful, since counselors sometimes need to intervene and assist clients who may be emotional, angry, or even combative. Good stress management and emotional regulation abilities can be important in maintaining a good balance in your life as you juggle the rigors of your job and other life responsibilities and goals. How Much Do Mental Health Counselors Earn? The Occupational Outlook Handbook reports that mental health counselors held nearly 160,000 jobs in 2016, with the largest percentage working in individual and family services. Just how much do these professionals earn each year? According to the U.S. Bureau of Labor Statistics, the median annual salary for a mental health counselor was $42,840 in May of 2016. Individual salaries can vary depending upon a wide range of factors including geographic location and area of practice, with the top 10 percent earning an annual wage of $70,100 and the bottom 10 percent earning less than $27,000. Areas which had the highest rates of employment included individual and family services (with an annual wage of $44,580), outpatient care centers ($44,770), and developmental, mental health, and substance abuse facilities ($39,060). The highest paying areas of employment for mental health counselors include consulting services ($65,680), junior colleges ($65,090), and insurance carriers ($62,100). While mental health counselors typically earn less than psychologists, this is also a factor that makes them appealing to insurers. Mental health counselors are able to receive third-party reimbursement for the diagnosis, assessment, and treatment of psychological conditions, often at a less expensive rate than some other health professionals. The U.S. Bureau of Labor Statistics predicts that the demand for mental health counselors will grow at a rate faster than the average for all occupations. They suggest that the demand for mental health counselors will grow by 20 percent through the year 2026. This need for mental health counselors will be particularly strong in rural areas that tend to be underserved by other mental health professionals. You are experiencing repeated, uncontrollable thoughts or memories related to a recent traumatic experience. Life seems intense and unmanageable. You feel uninterested in things you used to enjoy and disconnected from the people around you. You have been using substances to cope with your problems. Your relationships feel strained and not what they used to be. You just feel like you would benefit from talking about your concerns with a professional. Remember, you don't need to be experiencing symptoms of a psychological disorder to seek help from a mental health professional. Counselors, as well as other mental health professionals, can help you with a wide range of concerns, from stress to health to relationships. Whether your goal is to gain insight into your own behaviors, become a better spouse or parent, or become more motivated to achieve your goals, consulting a mental health professional can help. If you are looking for a counselor, you can use the resources provided by the National Board of Certified Counselors to locate certified counselors in your area. You can also discuss your symptoms and needs with your primary care physician who can then refer you to a mental health counselor, psychologist, or psychiatrist. Mental health counselors play a vital role in the delivery of psychological services. If you feel that you might benefit from counseling, talk to your doctor to learn more about your options and if a mental health counselor might be the right fit for your needs. If you are interested in a career in this field, spend some time researching what you will need to do in order to become a counselor. Mental health counseling is just one career option in this area, and you might want to consider related careers such as becoming a social worker, clinical psychologist, marriage and family therapist, or counseling psychologist. Bureau of Labor Statistics, U.S. Department of Labor, Occupational Outlook Handbook, Substance Abuse, Behavioral Disorder, and Mental Health Counselors; 2017. Gintner, GG & Mears, G. Mental health counseling. In A Guidebook to Human Service Professions. WG Emener, MA Richard, & JJ Bosworth (Eds). Springfield, IL: Charles C Thomas, LTD; 2009.